Congratulation Team Echo Innovator for being selected to compete at Imagine Cup World Finals 2017 in Seattle USA. Your effort to push the boundaries of human invention is awesome. Best of Luck for the World Finals !!! 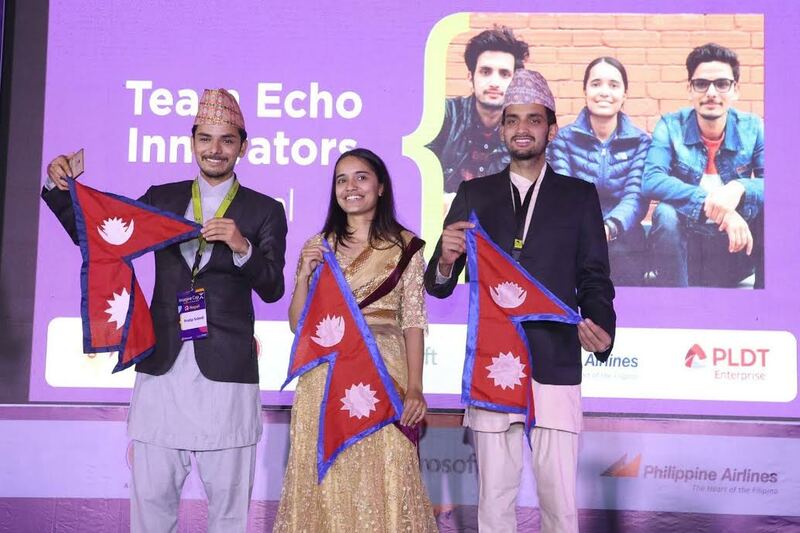 Team Echo Innovator comprised of Melisha Ghimire and Bhuwan Ojha from Kantipur Engineering College got selected for the World Finals in an event at Manila, Philippines held on 24 April, 2017. Ten champion student teams from different countries of South East Asia competed in the Imagine Cup 2017 regional event. Two years back Team Octavian (Sangam Shrestha, Amir GC and Sunil Lama from Kantipur Engineering College) represented Nepal for the first time ever in Imagine Cup World Finals. Imagine Cup World Finals is a worlds premier student technology competition organized by Microsoft every year.